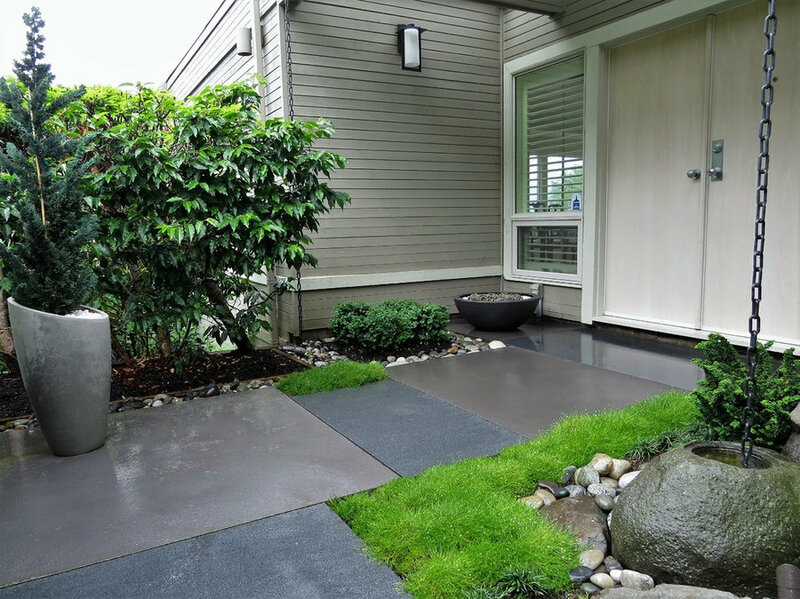 The asymmetric composition of the new walkway and simplicity of planting connect the modernist characteristics of the house with the more traditional character of the surrounding garden. 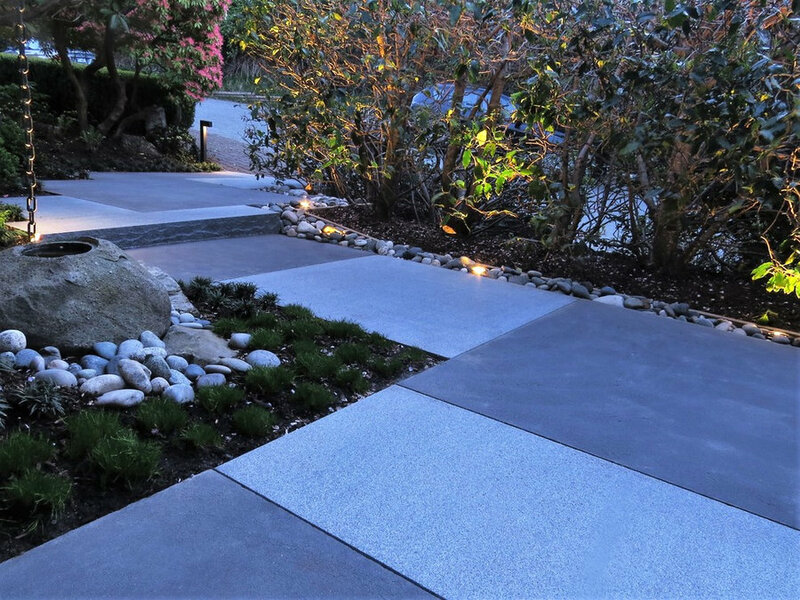 Generously proportioned granite platforms and architectural concrete slabs are used sculpturally within the asymmetric design. 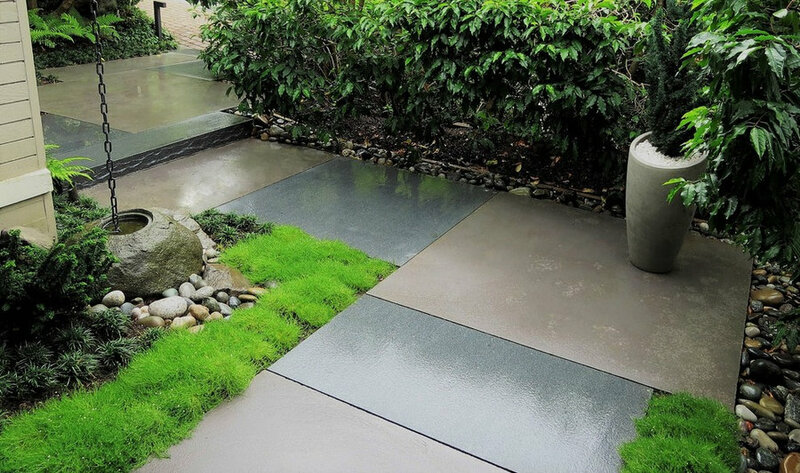 By the stone water-basin, the focal point for the area, the walkway narrows to slow the walking pace and to emphasize the basin. 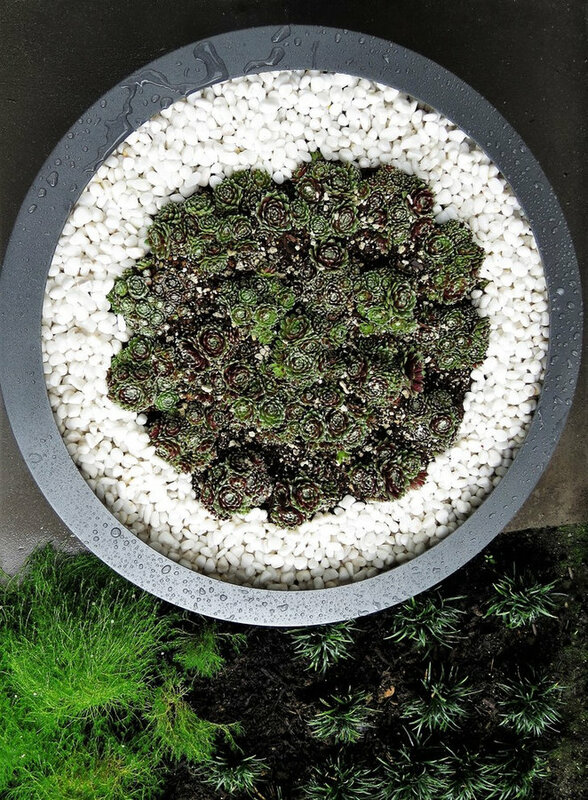 The planting surrounding the basin is arranged in a spiral to echo water swirling down the rain chain into the stone basin. 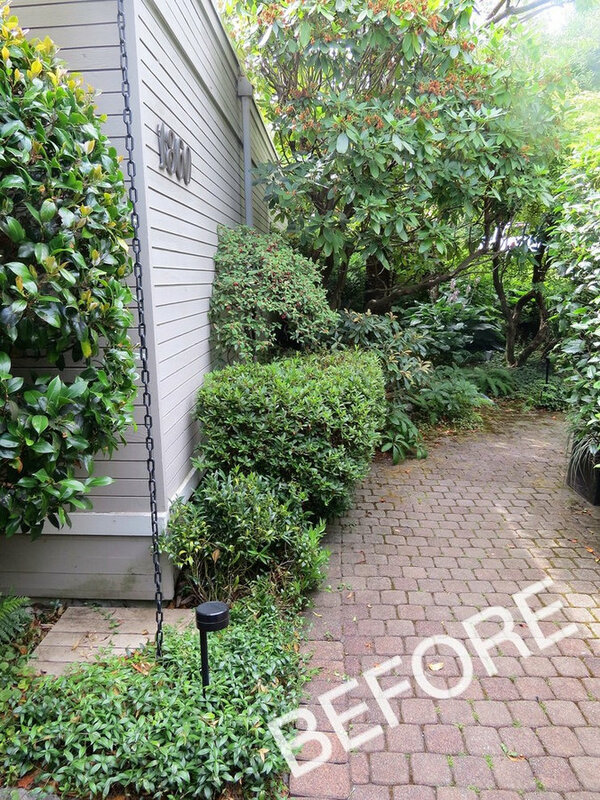 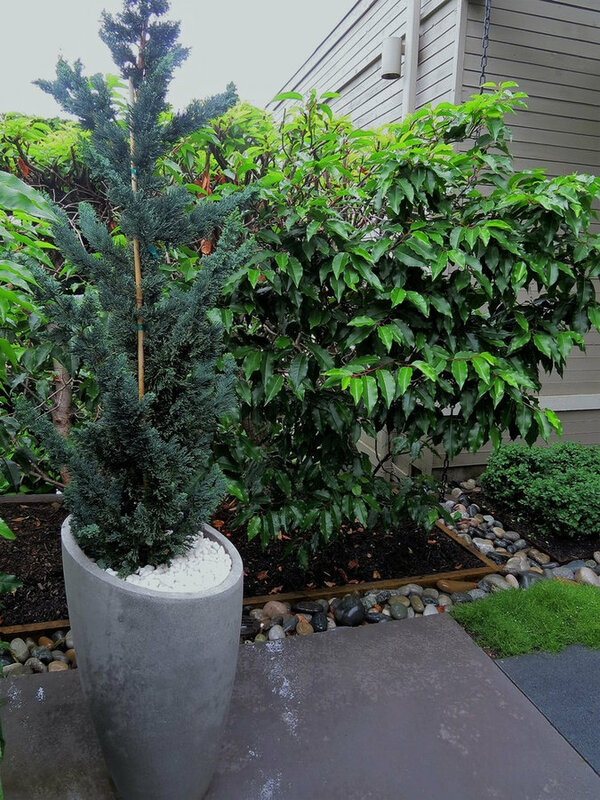 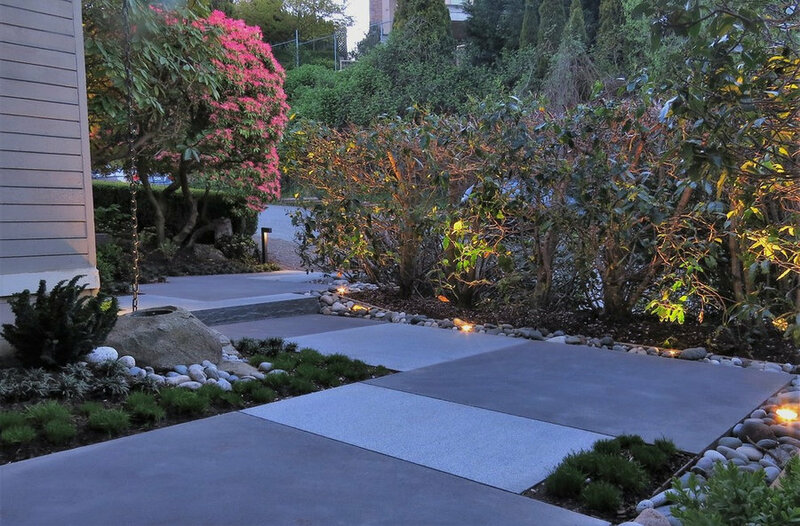 River rocks create a dry water-rill, but also act as “mulch”, suppressing weeds and concealing the directional lights that illuminate the adjacent laurel hedge.